As I have a shiny new phone today, I thought I would access my inner nerd and use it to post! Its been an up and down weekend. 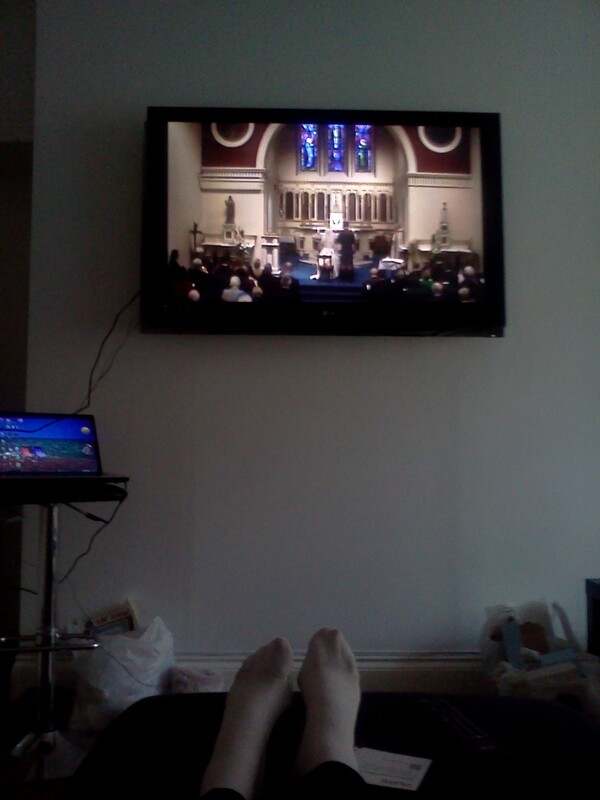 Was sorry to miss the wedding on Friday,but thanks to modern churches, we got to watch it on webcam! Certainly a relaxing way to go to a wedding. Feet up, and ceremony on the big telly. I saw my niece win a silver medal on Sunday in taekwondo also, so not a bad weekend. Being honest though, there are still tough times. I hurt my stomach again in the weekend, and so back on the painkillers for a day or so. Plus I think stress will increase this week, so after a few bad nights I’m also back on the sleeping pills. What would I do without modern pharmacology! I’ll tell you what I do do… I turn this on when I don’t feel great. You can’t help but smile! Hold in there Kath! It seems a long slog but you are getting there. 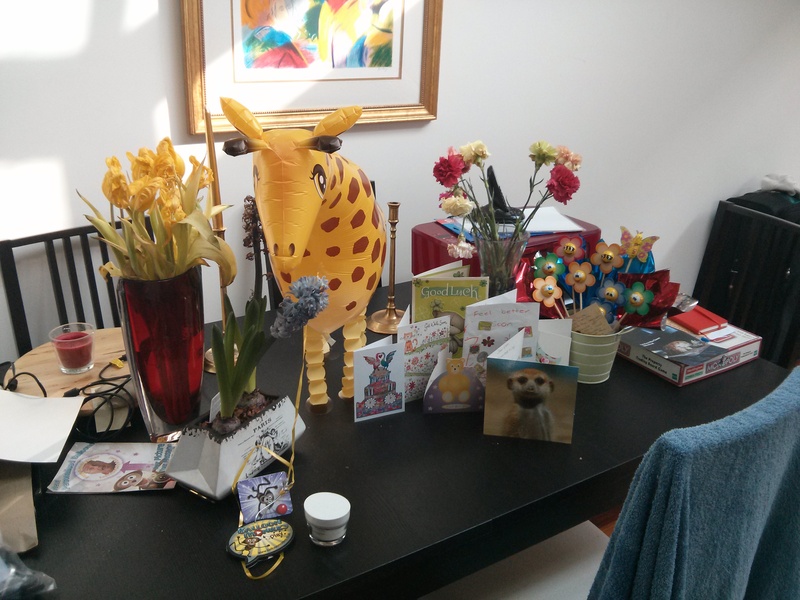 Def keep the pharmacology study up – now not the time to try and go light with the tablets… Thinking of you. Thanks, I’ll get there, just feeling all a bit too real this week. And I appreciate you clicking on the email to comment! Stay strong and keep your socks on! Hi Katherine great to read all this information ,understanding what’s going on is half the battle. I had that stitch in my cervix after three miscarriages and all went well. I also had a look at your renovation and its fantastic.Shall be thinking of you. It’s amazing how many people have had similar problems, and yet we never talk about it! Thanks for the good wishes, hopefully things go well next week and I can start to look further forward.